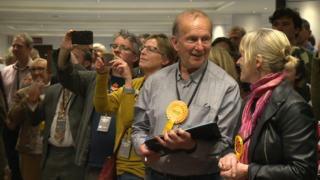 The Liberal Democrats have regained control of Richmond-upon-Thames and Kingston-upon-Thames. Both were taken from the Tories who saw its amount of councillors in the two boroughs drop significantly. Key Labour targets, including Wandsworth, Westminster, and Kensington and Chelsea remained under Conservative control. Labour increased its number of councillors, but has failed to take control of any new councils. Several councils are due to declare later today. Mayor of London Sadiq Khan said Labour was making progress in new areas. After "remarkable results" in the 2014 election Labour have been "campaigning in parts of London we haven't campaigned in before", the Labour mayor said. Labour gained two seats in the Maida Vale ward and one seat in the Bayswater where they had been represented since 1986. Karen Buck, Labour MP for Westminster North, said these were "impressive results". Leader of Westminster Council Nickie Aiken said the results were more of a "slap on the wrists" than a "knockout blow". Labour also gained seven new councillors in Wandsworth, but were unable to edge out the Conservatives in a close contest. The council has been a Tory local government flagship since the heyday of Margaret Thatcher. The party campaigned on its record of low council tax. Wandsworth council leader Ravi Govindia said "this is a victory that my colleagues will be proud to relish". Overall turnout was recorded at 43.6%. Connectives retained control of Kensington and Chelsea in the first vote since the Grenfell Tower tragedy, losing only one seat to Labour. The Conservative's had "kept control, been discredited and deselected so it will be a very different council," Labour group leader in Kensington and Chelsea, Robert Atkinson, said. The ward that contains the charred remains of Grenfell Tower - Notting Dale - remained Labour as expected. The leader of Kensington and Chelsea council, Elizabeth Campbell, promised to be open to "new ways of working" as she addressed the hall. The Tory councillor said: "We also recognise that all of us in Kensington and Chelsea live in the shadow of Grenfell. And Grenfell was, Grenfell is and Grenfell will be our first priority." 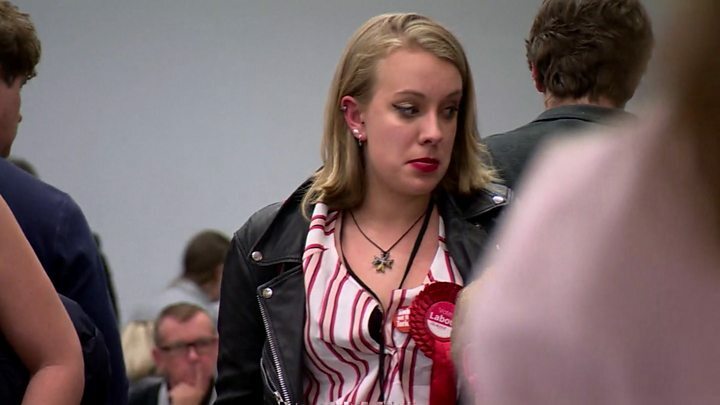 Image caption Barnet's Labour group leader Barry Rawlings said the current anti-semitism row had "made a difference"
The Conservatives regained its majority of Barnet Council, which they had run until March when a defection left the local authority in no overall control. Labour had targeted the borough but the party's anti-semitism row had "made a difference", Labour group leader Barry Rawlings said. He said Labour leadership acted too late in taking action against anti-semitism. "If it had of happened a couple of years ago Barnet would now be a Labour council," Rawlings said. The north London council, has a Jewish population of around 16%. The result means Labour is going to go away empty handed in terms of winning control of London councils, pollster Sir John Curtice said. Carrie Symonds, the Conservatives' communications director, said: "Labour lost over 4,000 councillors during the first eight years of their last government. "And yet tonight, Labour hasn't made anything like the gains it expected and needed." The Liberal Democrats have held on to Sutton Council, despite losing 12 seats. Lots had to be drawn after the Conservative and Lib Dem candidates in Sutton's Nonsuch ward were tied on 205 votes each. Tory James McDermott-Hill eventually won the third place seat. The new Richmond Council leader Gareth Roberts said: "The Lib Dems are back in south west London, and come south west London we go on to other places." In Havering, there is still no party with overall control. The Conservatives remain the largest party with 25 councillors with the Hornchurch Residents Association second on eight seats. Labour increased their lead in several councils they already controlled, including Croydon and Hammersmith and Fulham.